Lubrication units can provide proper lubrication to your hydraulic components for maximum efficency and length the life of the component. 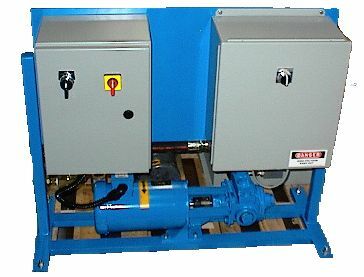 Cooling systems are sometimes incorporated in lubrication units to regulate the temperature of your hydraulic oil. Proper temperature in a hydraulic system can increase effeciency. This is an example of our filtration systems. 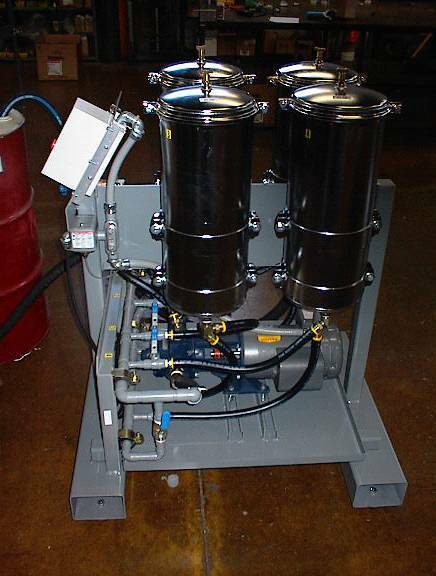 This easily movable filter unit incorporated Como Filters to remove dirt and water from foundry oil systems. The unit was mounted to a steel skit for ease of movement. 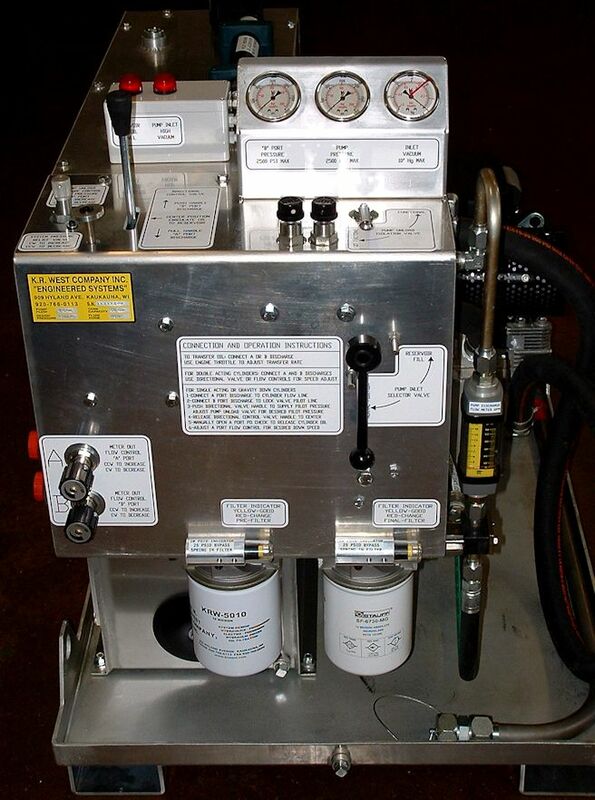 This hydraulic power unit was built for a trade show filter cartridge performance demonstration. The compact unit is an under table power unit with isolation mount pads. This unit features 120 V electric motor and integrated electrical control box, 8 GPM pump with built in relief, Monnier ail/oil reservoir, K.R. 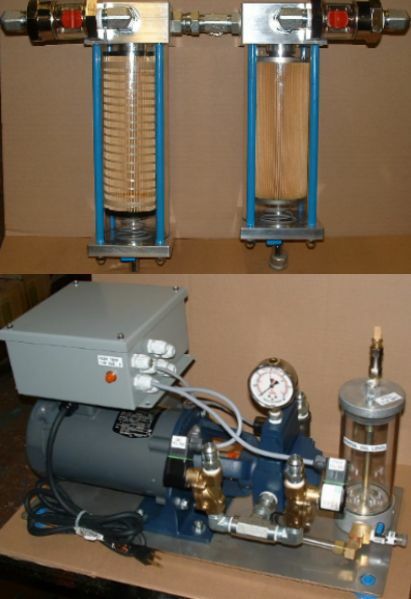 West custom built filter heads with clear acrylic bowls, and Norgren (Herion) automatic valves. 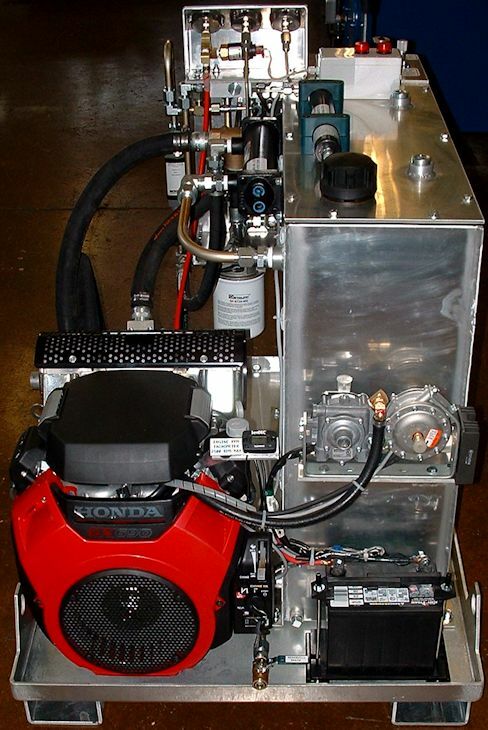 This portable filtration power unit is run using a Honday engine. This units is built on a pallet frame to be easily moved around. This complex system helps montior the filtration on machine oil.